Small, dark green trees with clusters of white flowers are scattered here and there across the hillsides. This is toyon (Heteromeles arbutifolia). It will truly come into its own in a few months, when clusters of brilliant red berries begin to ripen. Toyon is also called “christmas berry” for these cheerful December fruit, which once were sold as a local substitute for similarly colored holly sprigs. 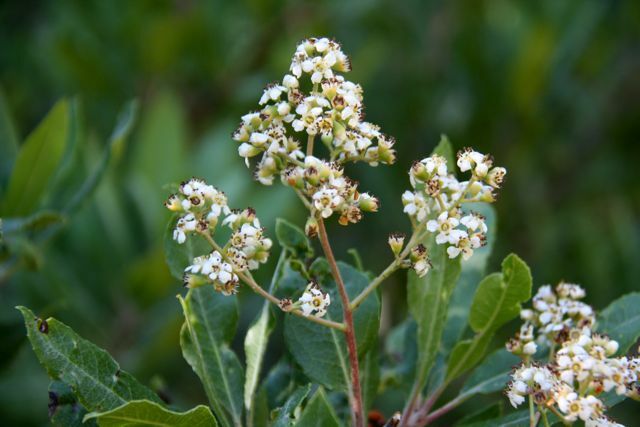 Don’t get any ideas about collecting your own–it’s now illegal to harvest wild toyon. 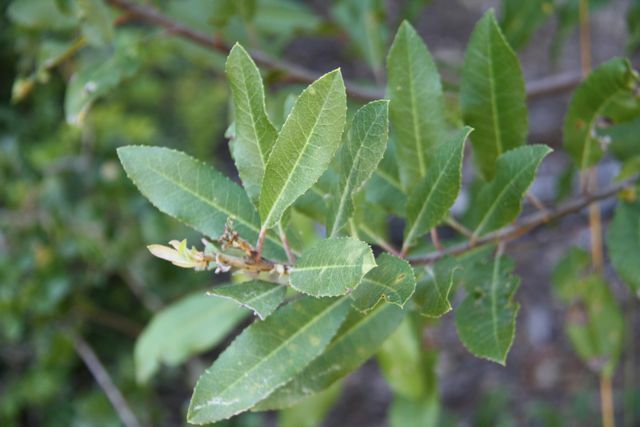 This species is often a part of the scrubby chaparral community, but you can also see it in oak woodlands and other forests and shrublands across the state. The berries are described as having a “sweet and spicy” flavor, and a tea made from the leaves was used for irregular menses, aches, pains, stomachaches, and to wash wounds. Californians once ate the fruit regularly–roasted, toasted and fresh. Spanish settlers made a drink from the bark, and Channel Island fishermen used it to tan their fishing lines.